You’re invited to visit our campus and see yourself as a student here at Kettering College. Meet the students, faculty, and staff that make Kettering College a warm and welcoming place. When you visit Kettering College, you can learn more about each program, meet with financial aid and admissions counselors, and receive a tour of the campus. Each campus visit is customized for your needs. We’d love for you to be a student at Kettering College! We encourage everyone who is interested in a healthcare degree at Kettering College to visit campus. Check out our calendar for available time to come visit, which includes a guided tour of campus and the opportunity to speak with an enrollment counselor. We want you to explore Kettering College for yourself! The Explore Kettering College event will include free food, a guided tour of campus, time to sit down and talk with faculty in the department(s) you’re interested in, and the opportunity to speak with enrollment counselors and financial aid counselors to plan your future. This event is free and open to the public. The monthly Information Session is designed to assist undergraduate students in making decisions about where to study, what to study, and feeling confident about making a college selection. The Information Session will begin with an Admissions Counselor walking through the different programs offered at Kettering College and answering questions about becoming a student at Kettering College. Following this, representatives from the financial aid office, registrar, and admissions offices will touch on how to streamline the admissions processes as well. There will be time for questions and light refreshments will be served. In addition, each month we will have a spotlight speaker from one of our eight healthcare programs to speak on their program and how Kettering College could be your best route to a healthcare career. Following the keynote speaker, we will have a brief tour of the Kettering College campus. Prospective students interested specifically in the Master of Physician Assistant Studies degree at Kettering College should plan to attend one of the PA information sessions that will be held periodically through the school year. No appointment is necessary. Sessions are held at 5 p.m on the dates listed below. For more information about the PA information sessions, please call (937) 395-8638 or e-mail PA@kc.edu. Join us for any of the upcoming informational sessions about the Occupational Therapy Doctoral (OTD) program. 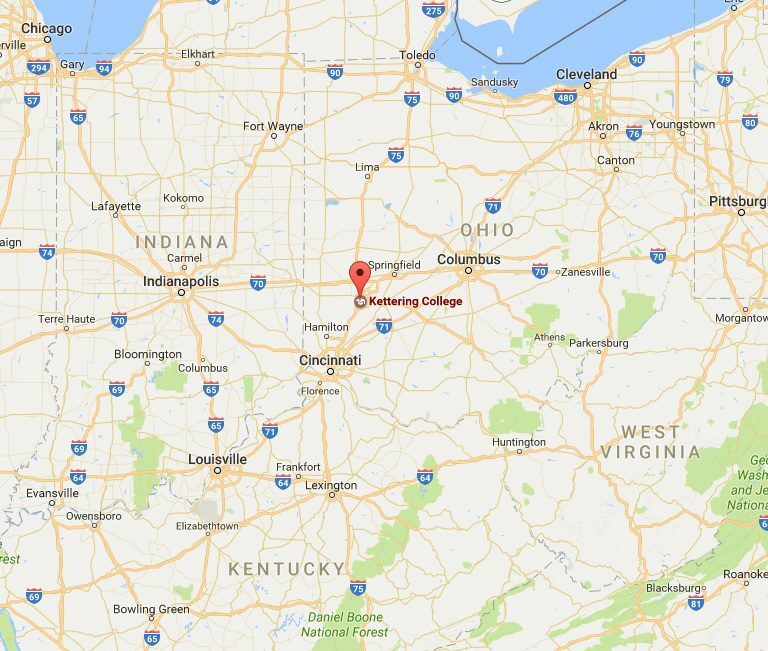 The sessions will be held at Kettering College Ollie Davis Medical Arts Center located at 68 Darst Road, Beavercreek Ohio, 45440. Please reserve your attendance by emailing us at otd@kc.edu. We are located in a southern suburb of Dayton, Ohio. The entire region is known as the Miami Valley and is situated an hour north of Cincinnati and just under two hours from Columbus. Other major cities within driving distance of Dayton include Louisville, Cleveland, Detroit, Chicago and Indianapolis.